You ought to wear a seat belt while driving or traveling in a car, not just to abide by the laws, but also to shield yourself from sustaining grave injuries if you encounter an accident. When pregnant your responsibility doubles, as apart from protecting yourself, the onus is on you to safeguard the new life growing within. 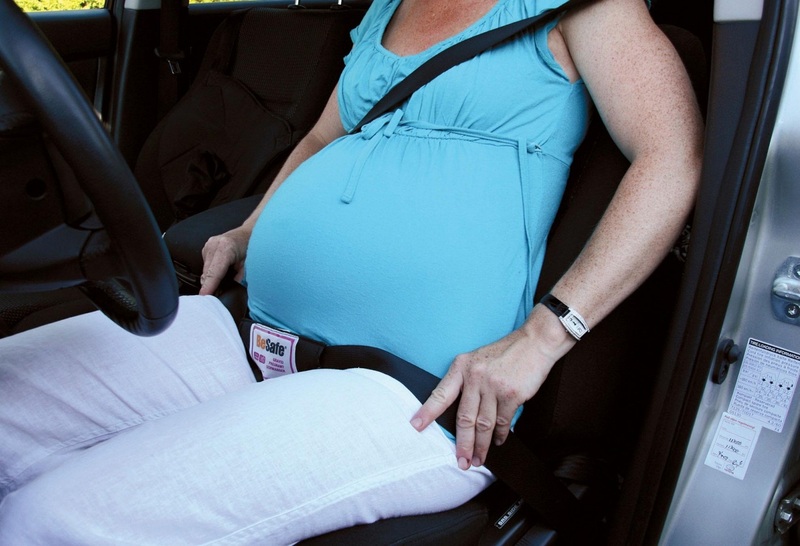 Seat belts are a mandate whether you are pregnant or not. Contrary to the belief that it might hurt the baby, a seat belt would actually serve as a lifesaver in times of a mishap. Make sure to opt for three-point seat belts, having both lap and shoulder straps, instead of just a lap belt as the former provides increased protection to you and your unborn baby [1, 4]. You may only be exempted from wearing a seat belt if recommended by a doctor, provided you have certificates in support of it [1, 6]. Wear the lap strap around your thighs and hips, though make sure it stays below your tummy. If you fasten it across your pregnant belly, a sudden jerking from the seat belt in times of an accident may injure the fetus or even cause the placenta to partially or completely detach from the uterus . Place the shoulder strap diagonally so that it touches your collarbone and passes through the center, between the breasts, buckled to the right or left of your tummy [4, 5]. However, do not place it under your arms [2, 6]. Fasten the lap and shoulder strap well as tightening your seat belt would not harm the fetus since it is safely enclosed in the amniotic fluid which serves as a protective cushion . Avoid positioning devices or seat belt adjusters that claim to shield your tummy by serving as a guard . They often cause the seat belt to loosen and even slip on your belly, which may be dangerous in an accident. If your woolen garments cause the belt to slip on to your tummy, take it off once it is warm enough inside the car . Unless you have the steering in your hands, try taking the back seat, because in this way you would be at a lesser risk of injuries during an accident . When driving, adjust your seat in a way so that it is at a considerable distance from the steering wheel as well as the dashboard, yet allowing you to place your feet on the pedal comfortably . In case you have an adjustable steering wheel, keep it away from your belly so that the airbag (if opened) would touch your chest and not stomach [3, 5]. If traveling by flight, ask for an extender, in case you experience difficulty in fitting the seat belt around your oversized belly. During a car accident, consult the doctor at the earliest, even if you have sustained minor injuries.